We have an amazing collection of cartoon art hanging at WonderRoot! Thanks so much to everyone who submitted art!! 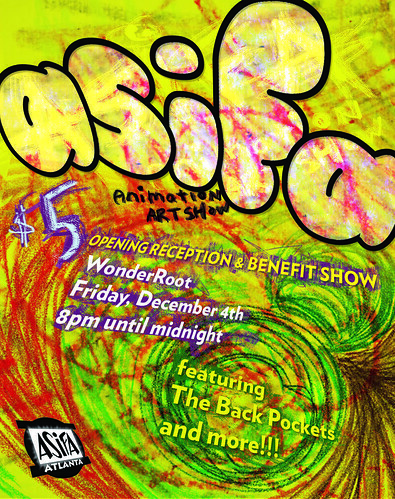 WonderRoot is located at 982 Memorial Dr, Atlanta, GA andwonderroot.org. We are extremely thankful to them for helping us so much with this show- Kristy Breneman especially. Artists who participated get in for free, ASIFA-Atlanta members will get a discount of some kind, and everyone else will be asked for a $5 donation. All proceeds will go towards keeping ASIFA-Atlanta running, including paying fees for acquiring nonprofit status.